OLD PARKED CARS. 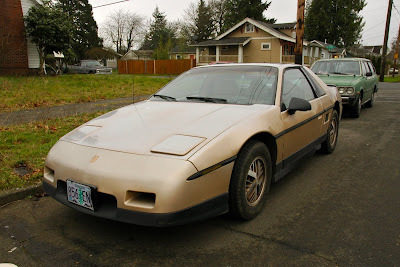 : 1986 Pontiac Fiero SE. 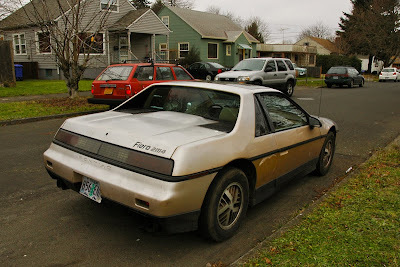 The one time Pontiac went all in for a small sports coupe in the hey day of the 80's. It was a wonderful car. Lots of fun to drive. 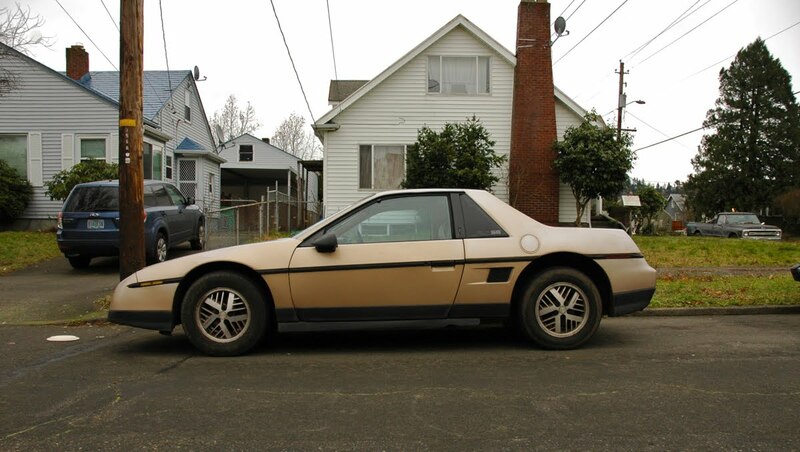 That is one awesome shade of 80's gold. I own a gold Fiero. They are amazing little cars. Sweet! I have a 1984 automatic and a 1988 V6 5 spd; both fun to drive.